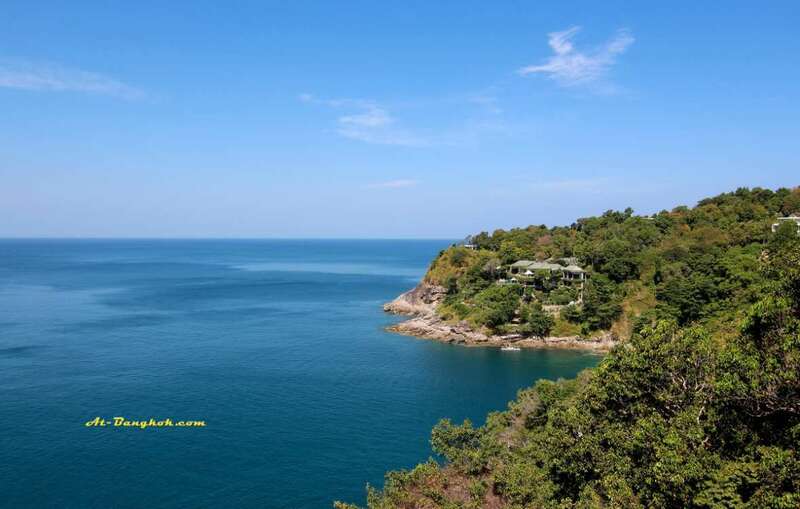 Phuket is one of my favorite beach destination, when fin(fin-fabulous is needed) organize a trip there, I knew it was going to be great. 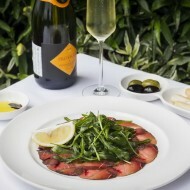 For sure it will include their extreme boutique wines tasting event and fabulous wine dinners. We started off to a new resort just off the island. 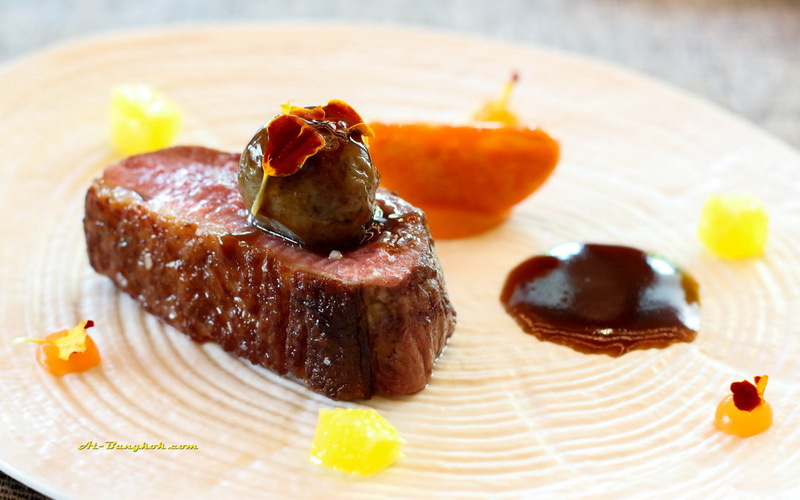 Inalia is an all villa resort with a 3 Michelin star chef behind the operation of their restaurant Aziamendi. We were welcome by the General Manager Wayne Milgate. 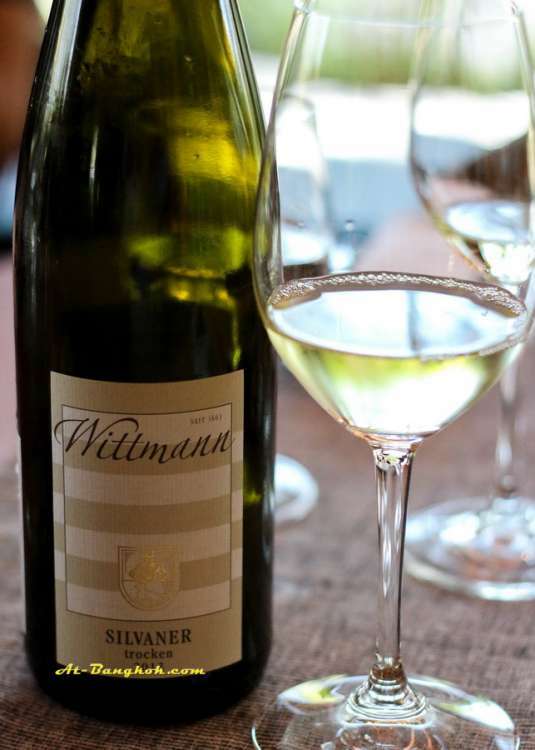 The wines for this lunch are from the Wittmann vineyard from the Rheinhessen region in Germany. 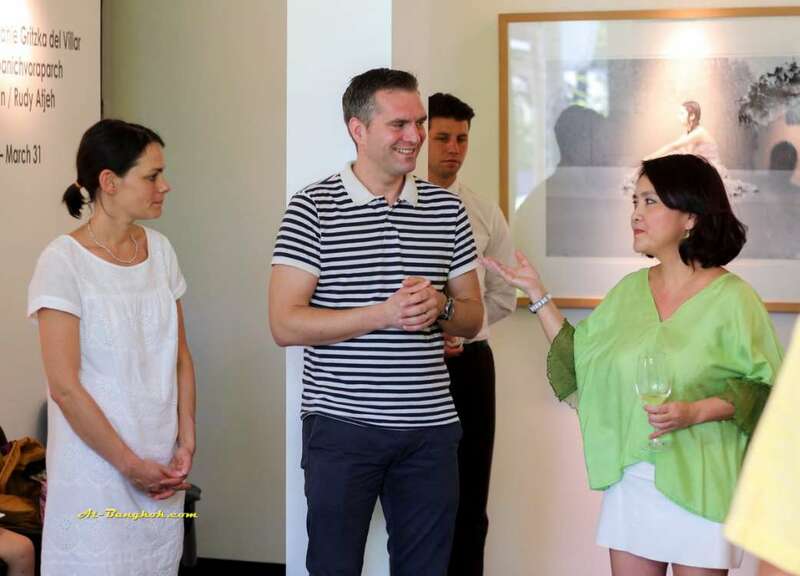 We had the privilege to enjoy this event with the wine maker himself ‘Philipp Wittmann’ and khun Benjawan Wisootsat the managing director of fin wines. For the cocktail reception the welcome drink was 2013 Trittenheimer APOTHEKE Riesling Kabinett, Wittmann, Rheinessen, Germany. 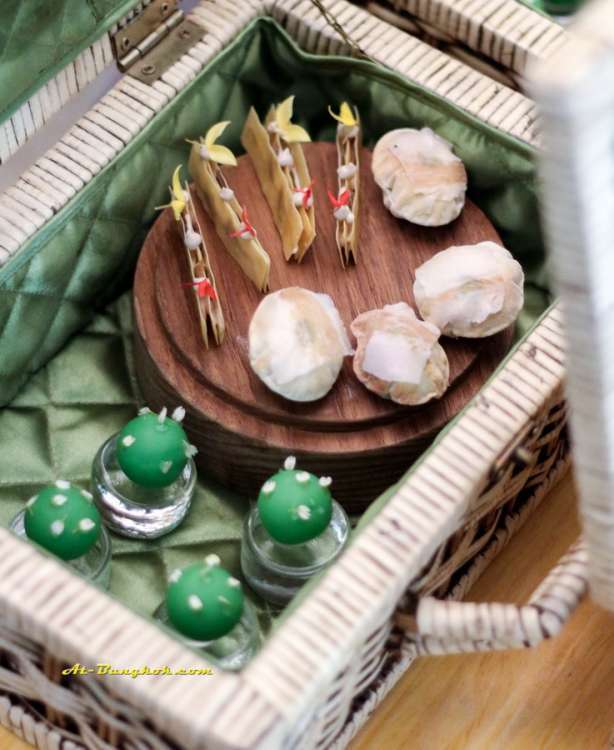 It was served with Anchovy Mille Feuille / Mojito Bon Bon / Airbag with Avocado. 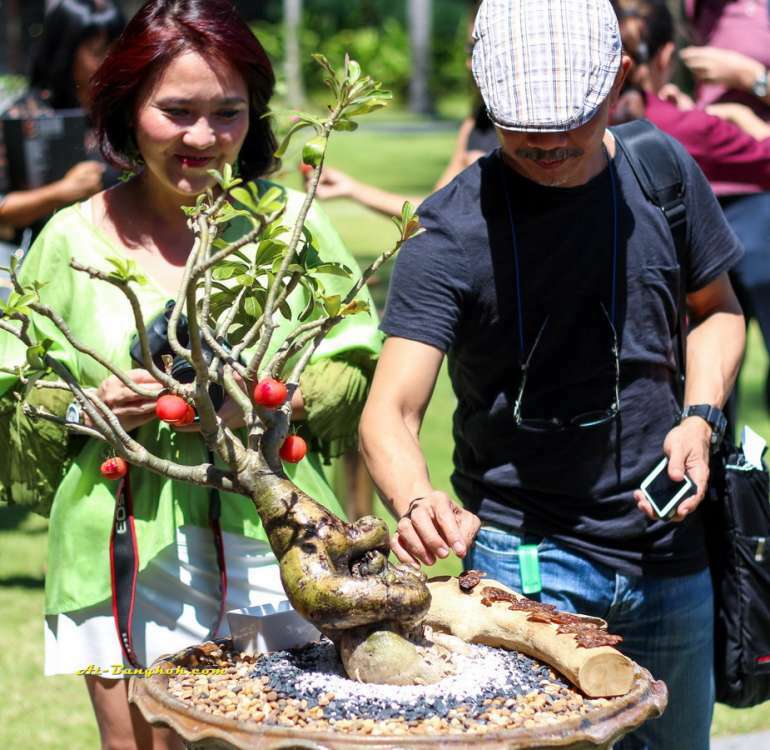 On the way to be seated at the entrance of Aziamendi miniature bonsai trees were filled with savory surprises. Cherry Tomatoes / Tree Bark / Hibiscus Infusion. 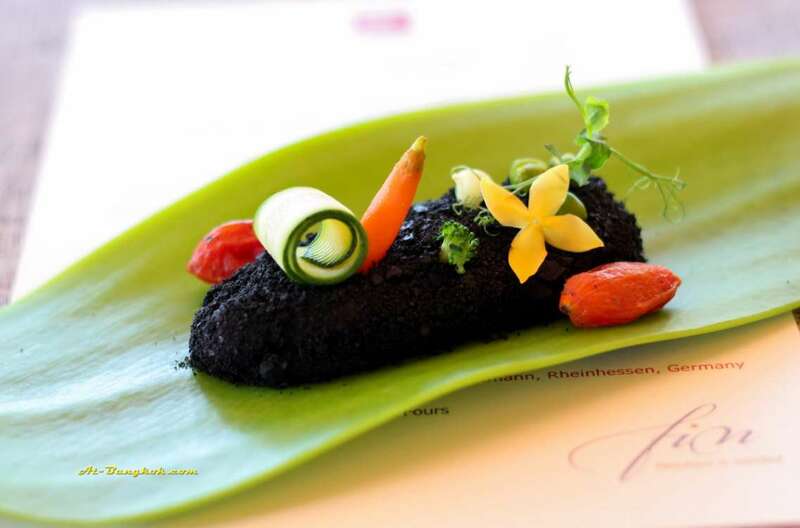 The Garden is one of Aziamendi signature dish, a beautiful dish of carrots purée covered with black ink biscuits served on a bright green ceramic leaf like dish. 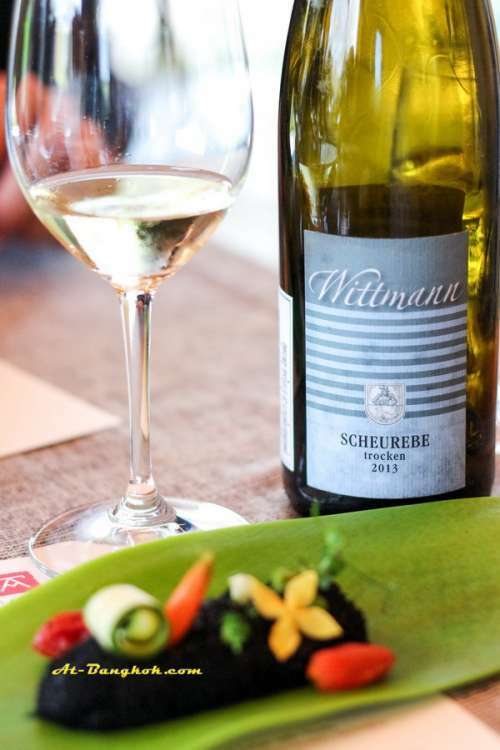 Paired with 2013 Gutswein Scheurebe QbA Trocken, Wittmann, Rheinessen, Germany; fresh grass and herbs; fruity notes of apple, mineral tone with acidity and juicy fruit aromas. 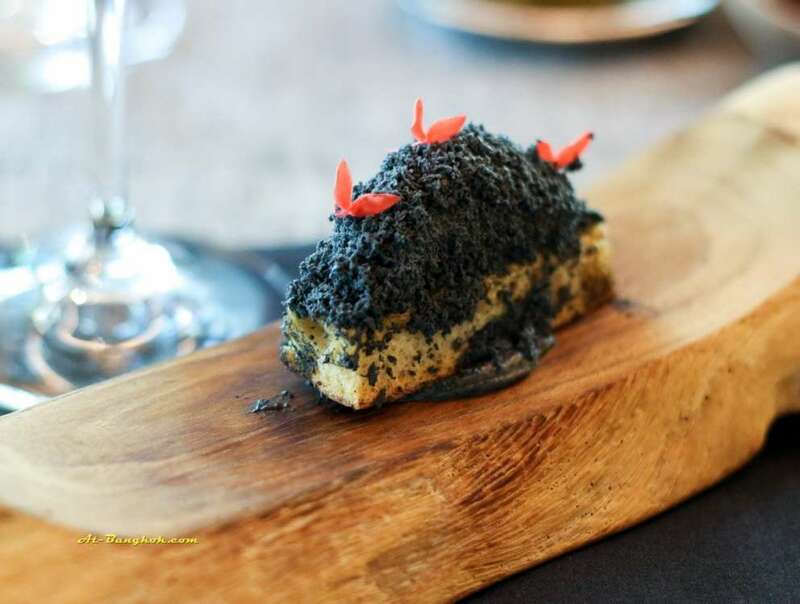 Foie Gras Ashes from the Grill; the version of foie gras I never had before in the form of ashes. It tasted like foie gras but the presentation makes it different. Serve on top crunchy croutons make it disappear really fast. 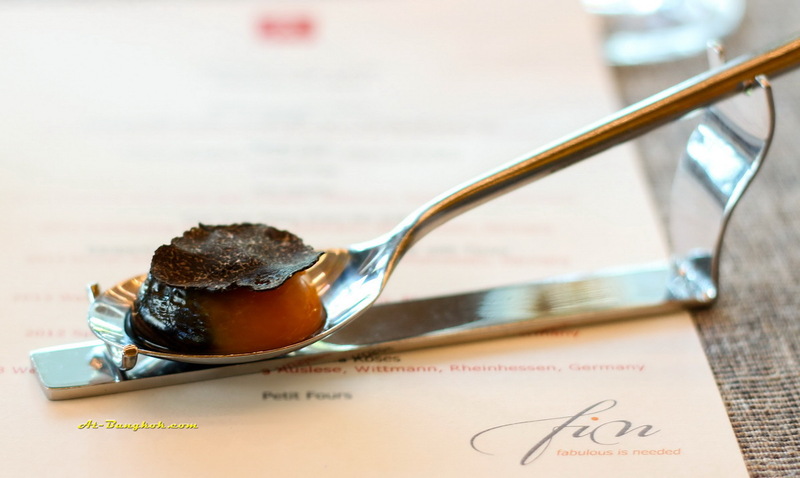 It goes well with 2013 Gutsriesling QbA Trocken, Wittmann, Rheinessen, Germany. Quite green gold in the glass, the nose is honey suckle, lime and a mineral nose, like crushed up rocks. 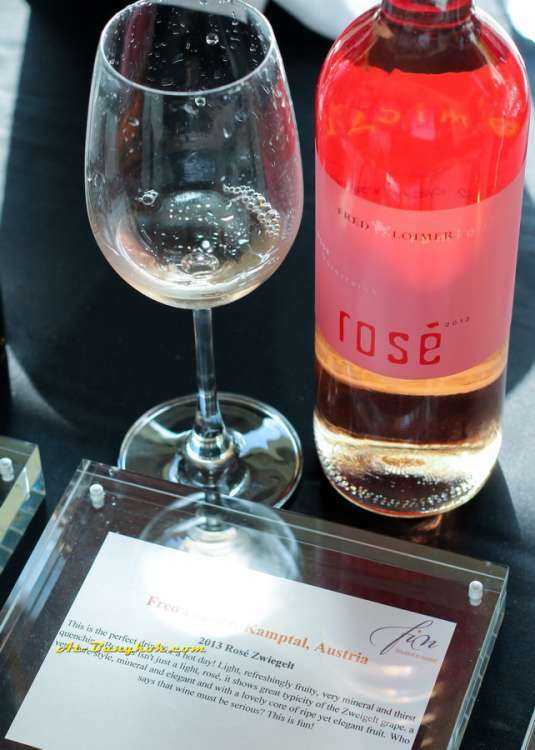 The palate opens with some upfront sweetness, which seems sugar sweet as opposed to fruit sweet. 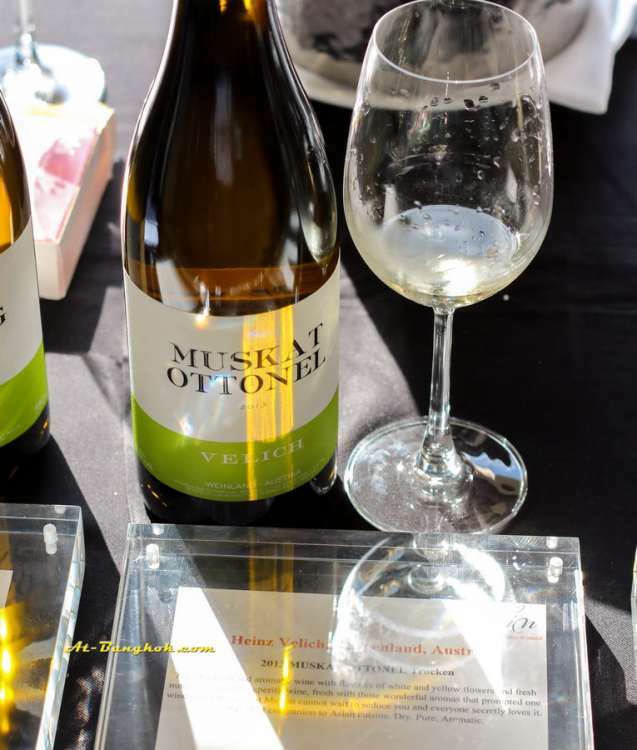 The palate then draws out long, lean and citrussy, finishing with acidity of great intensity. 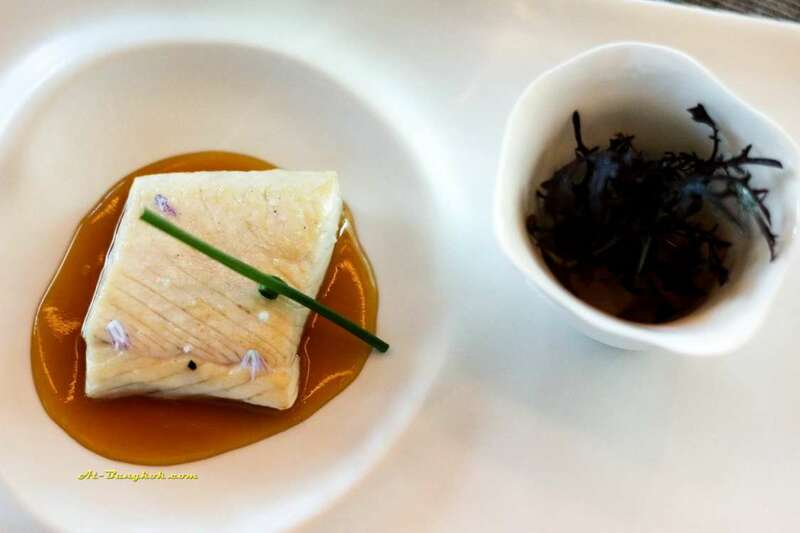 Kanpachi with Red Pepper Sauce and Tartar with Tsuyu; red snapper steamed to perfection with oyster sauce. Very savory Chinese favor profile. In the small bowl raw fish marinated in ponzu serve with seaweed. 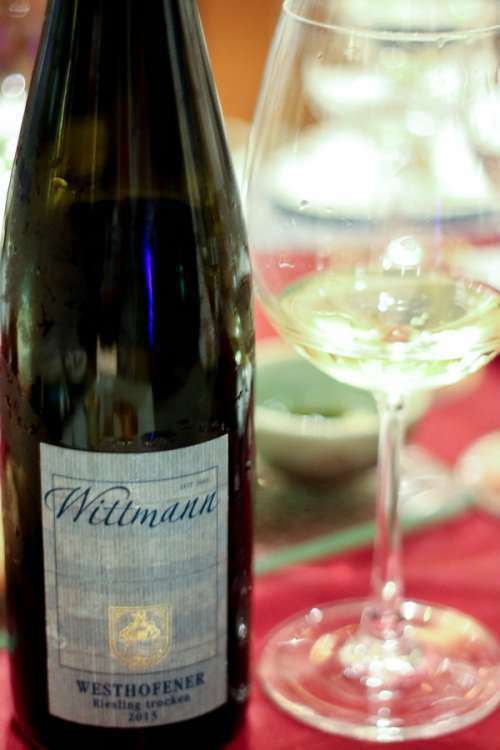 A marrage of Chinese and Japanese that went really well with 2013 Grϋner Silvaner QbA Trocken, Wittmann, Rheinessen, Germany; fresh aroma of grass and herbs like, juicy green apple and shades of yellow fruits. Refreshing, juicy start with harmoniously integrated acidity; fresh mineral note in the finish. 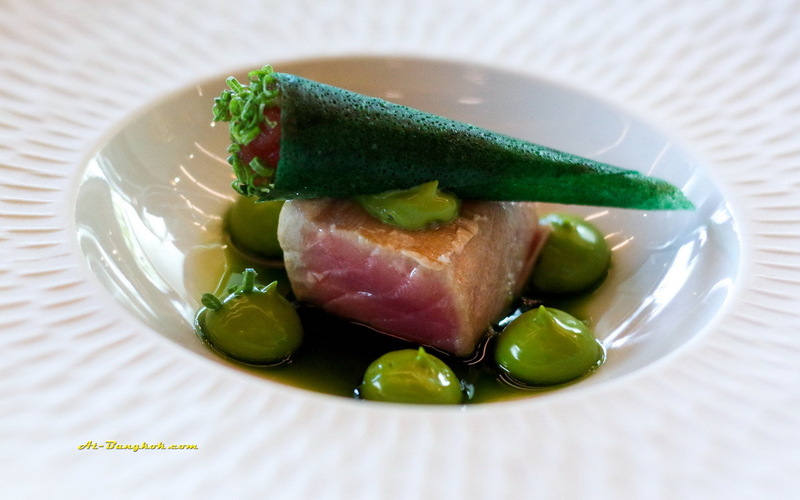 Tuna Two Ways, another savory dish that makes you want to have more, seared tuna with avocado cream and pesto oil. 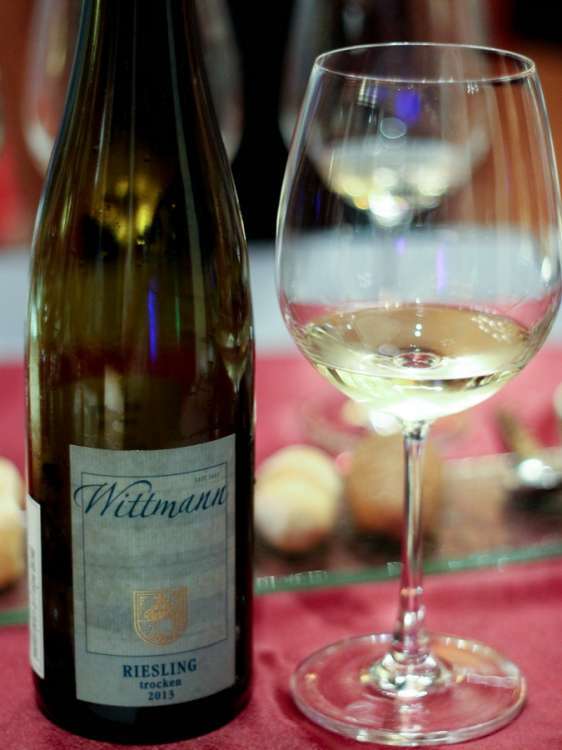 Nicly paired with 2013 Westhofener Riesling Trocken, Wittmann, Rheinessen, Germany; Wittmanns vineyard Selection; a blend of the three top sites of village Westhofen. 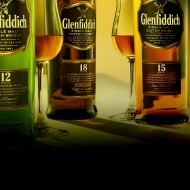 Intensive aroma of juicy green apples and a spicy mineral tone. Starts with lots of fresh fruit and an elegant play of acidity and alcohol; long finish marked by juicy fruit and a spicy mineral tone; beautiful, clear structure. Duck à L’Orange; nicely seared crisp outside pink inside. 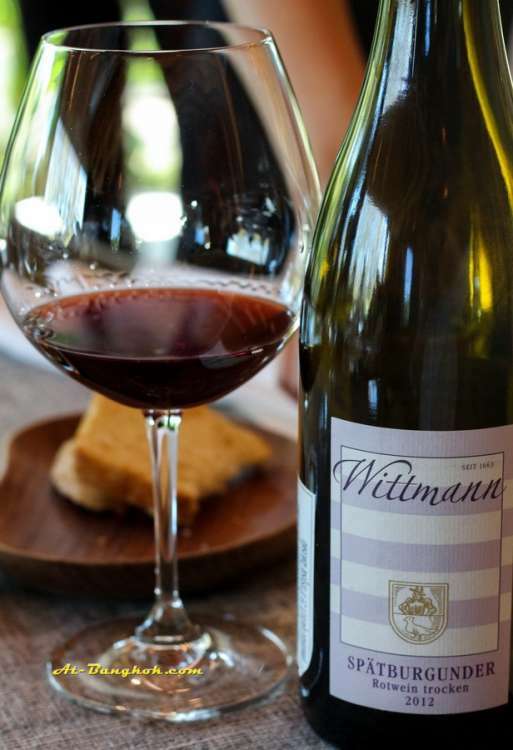 A perfect match with 2012 Spätburgunder Pinot Noir, Wittmann, Rheinessen, Germany; This wine was crafted from grapes that have been selectively harvested by hand in the best parcels of Wittmann’s vineyard sites. 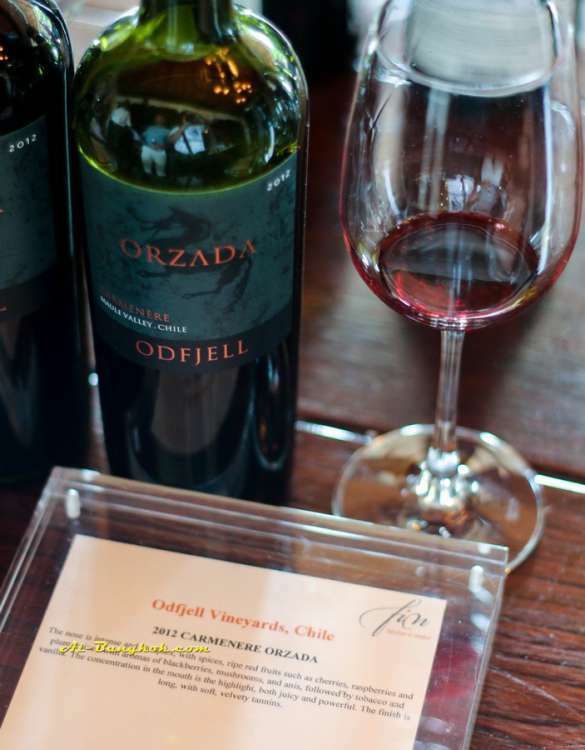 A compact wine with a mineral tone and a high level of fruity ripeness. 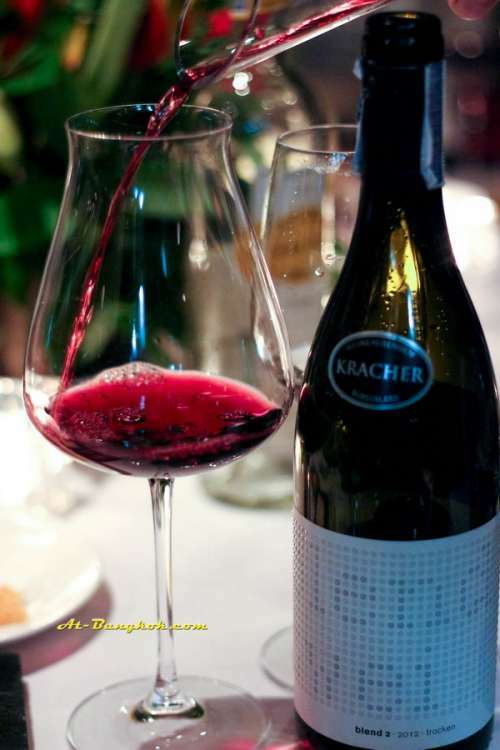 This Spätburgunder (pinot noir) shows a rich body, a fine tannin structure and flavours of dark berry fruit. 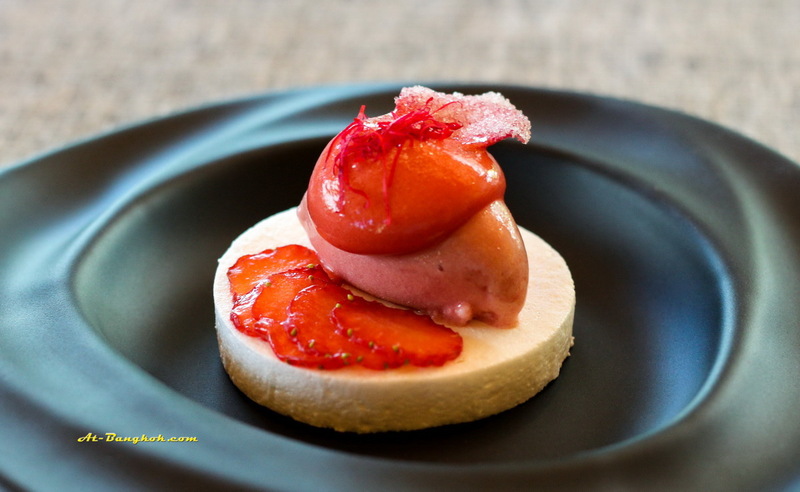 Strawberries and Roses; strawberry sherbet with cheese cake like base top with rose infuse cream. 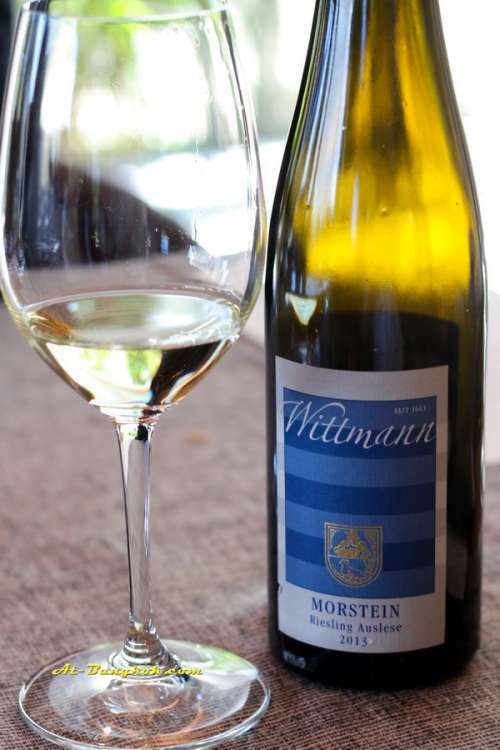 Paired with a sweet 2013 Westhofener Morstein Riesling Ausles, Wittmann, Rheinessen, Germany. After lunch we had a tour of the property. It is a small but elegant resort with 3 villas and 1 penthouse. Each unit is overly spacious with a private pool and sea view. The décor is very unique; each unit is design by different famous designers. You would think to call it a day after all the food and wines but no this trip is for the extremer’s. It was time to head off to Banyan Tree Resorts where we will be staying and having the wine dinner. We each get a pool villa to relax before the dinner. 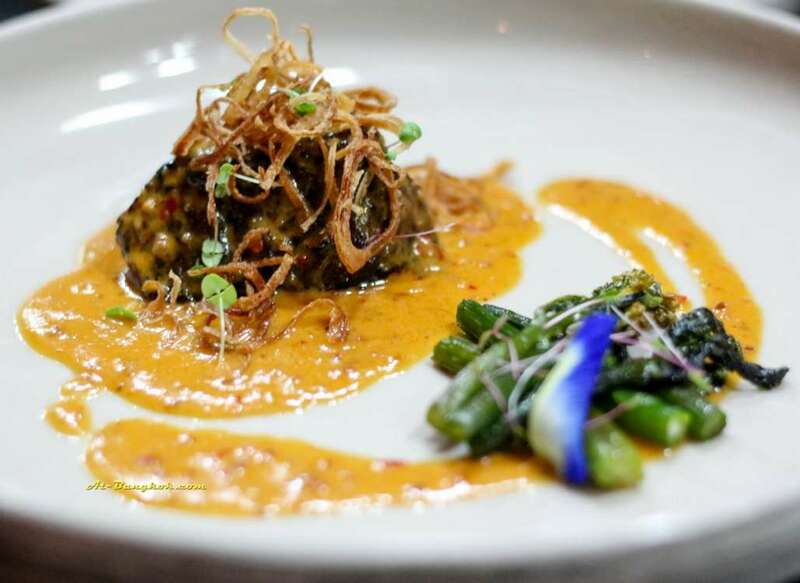 The dinner was set at Tre the Vietnamese with French influence restaurant at Banyan Tree. 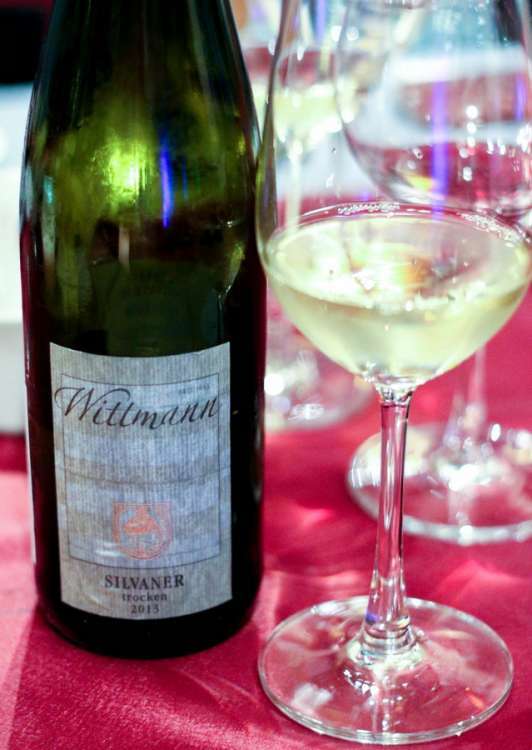 For this dinner again we had food pairings with wines from Wittman. 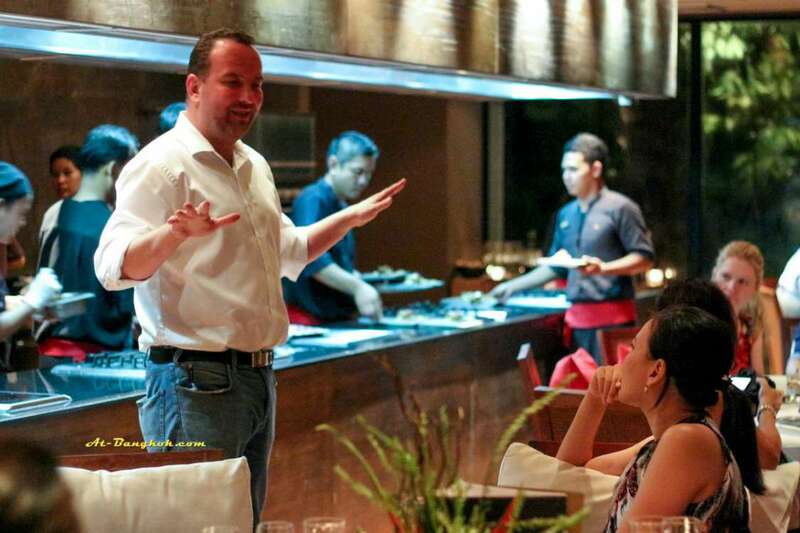 Philipp and khun Benjawan also joined us to share stories about the wines. 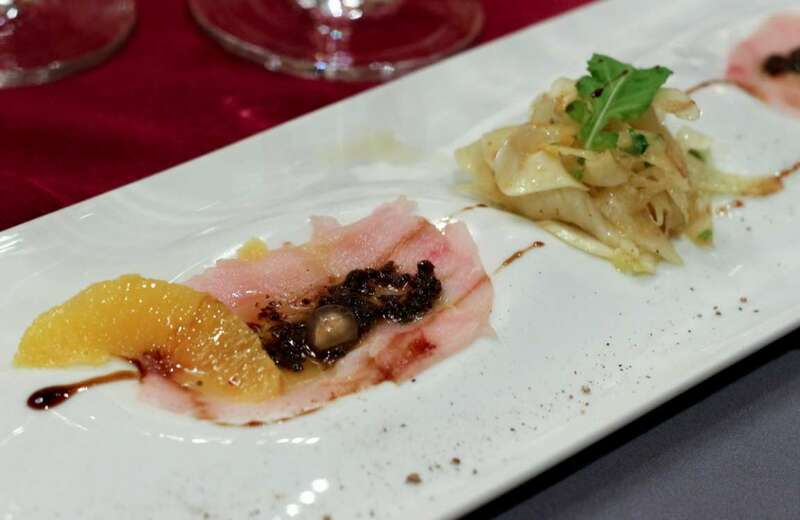 The first dish was sword fish carpaccio with thai marinated wild fennel salad, citrus-pomegranate and truffle dressing. 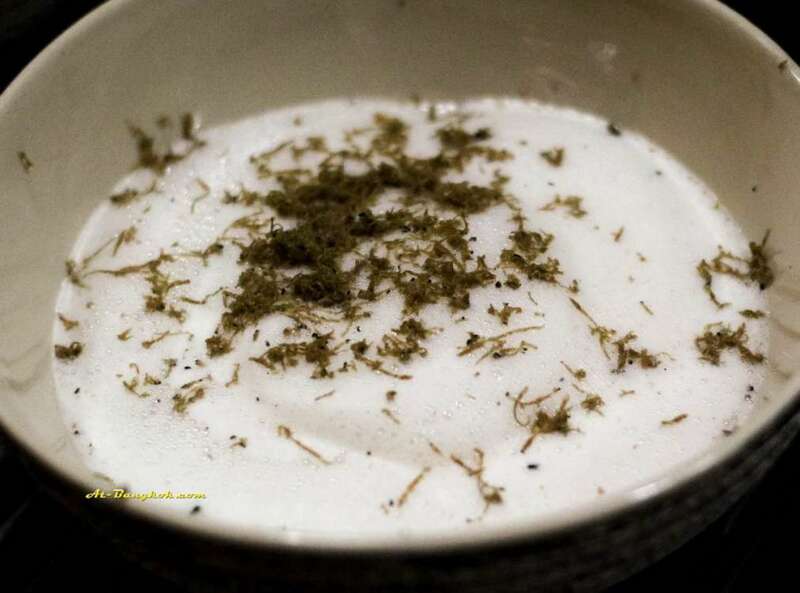 The truffle dressing added complexity to the already flavorful fish. 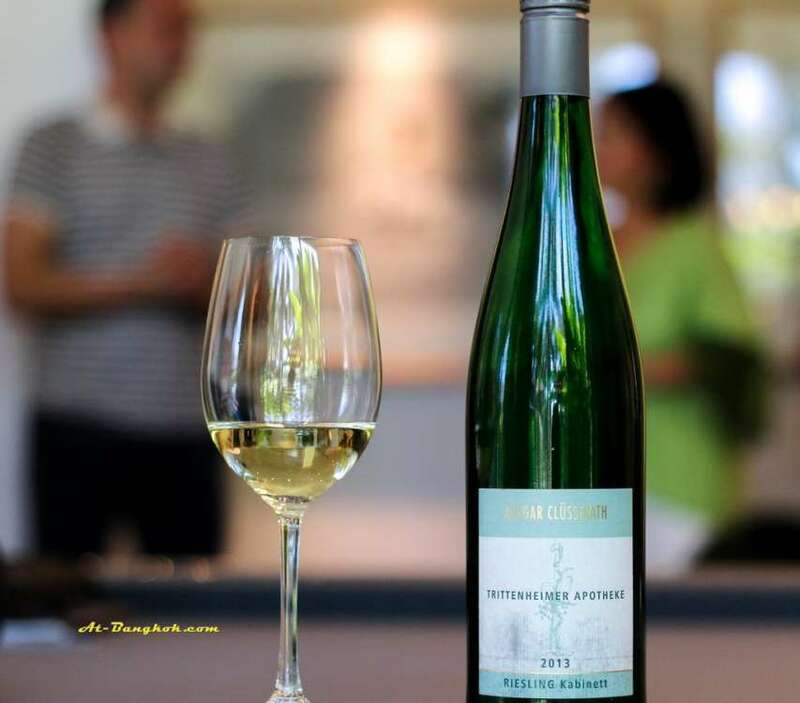 The acidtity of 2013 Gutsriesling QbA Trocken, Wittmann, Rheinessen, Germany made the dish enjoyable from the first to the last bite. 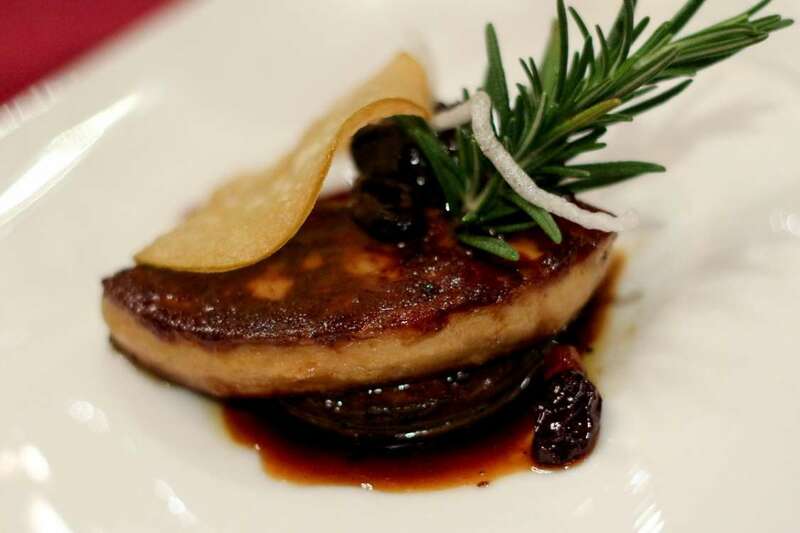 Pan seared foie gras seating on roasted portobello mushroom, grape reduction and crispy apple. 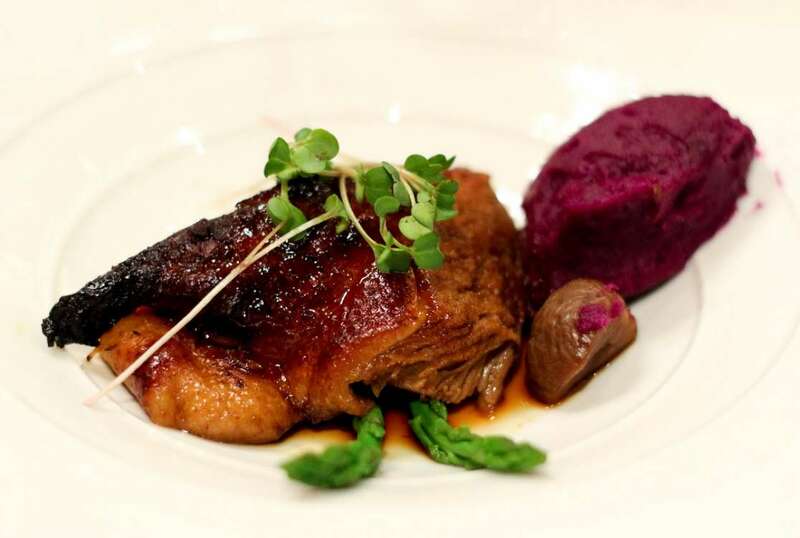 The sweet and tart grape reduction made the perfectly sear foie gras even more tasty. 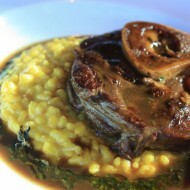 The thick, chewy and juicy mushroom was full of flavor from the sauce and foie gras. 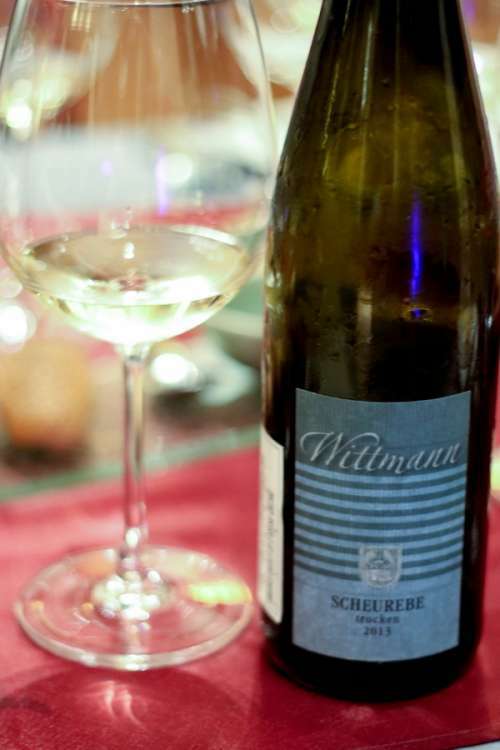 2013 Gutswein Scheurebe QbA Trocken, Wittmann, Rheinessen, Germany fruitiness was a good match. Snow fish brandade and smoked hokkaido sea scallop served with a mosaic of organic vegetables and saffron pure. 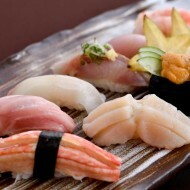 The fatty fish was mouth watering. 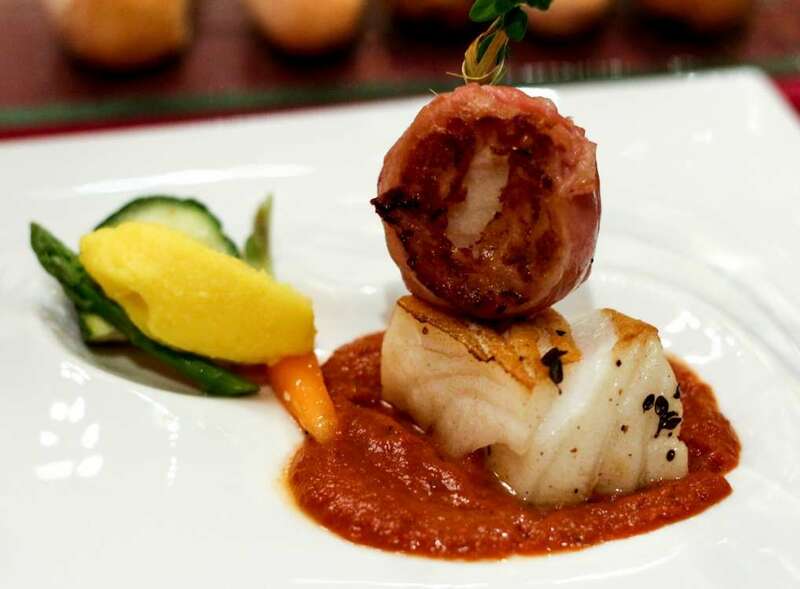 The sweet and succulent scallop was covered with smoky crispy prosciutto. It would have been a beautiful combination if only the tomato sauce was not as sharp. 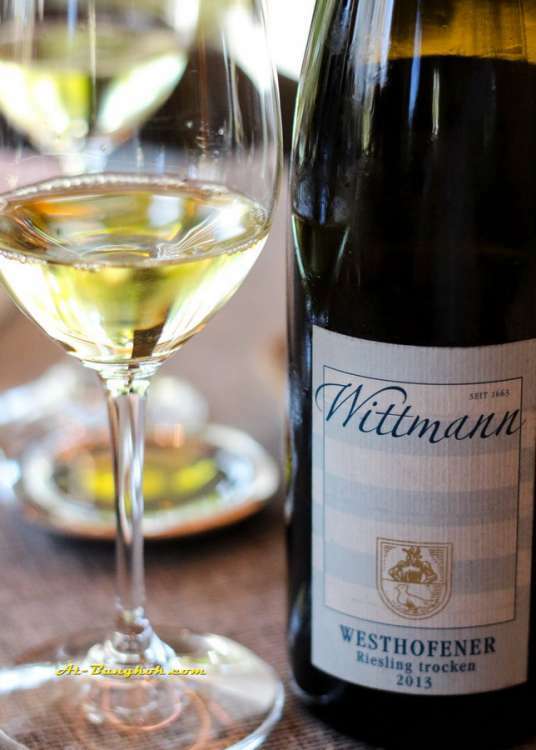 Luckily we had 2013 Westhofener Riesling Trocken, Wittmann, Rheinessen, Germany to add more of complexity to the dish. 3 Hours oven duck was sensational, the skin was caramelized, the meat was off the bone tender, the layer of fat in between was tasty. 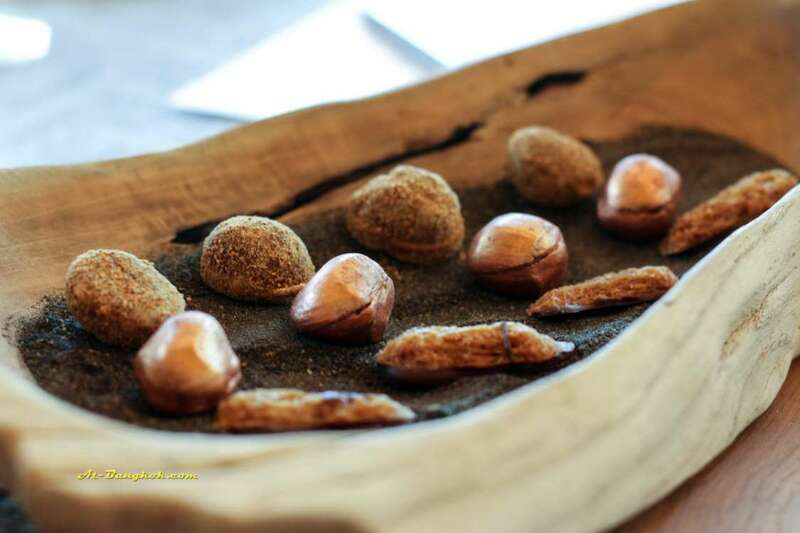 It was served with purple potato puree, and chestnut truffle. 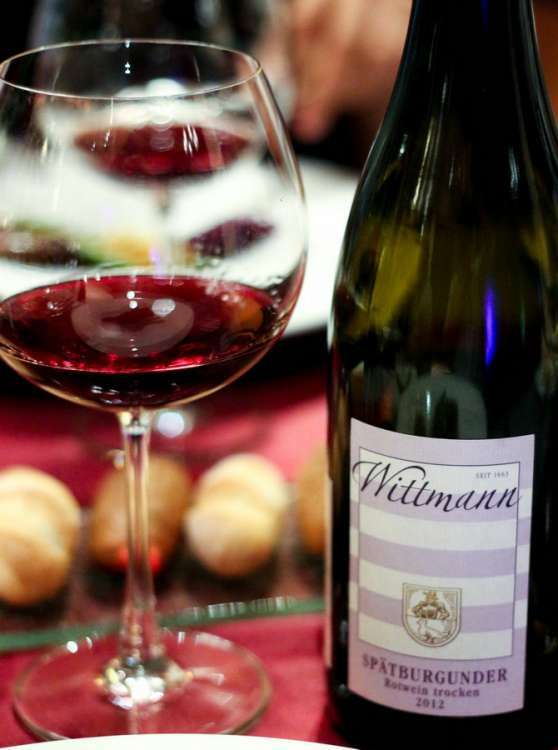 Finally a red 2012 Spätburgunder Pinot Noir, Wittmann, Rheinessen, Germany rich dark berries complimented the duck. 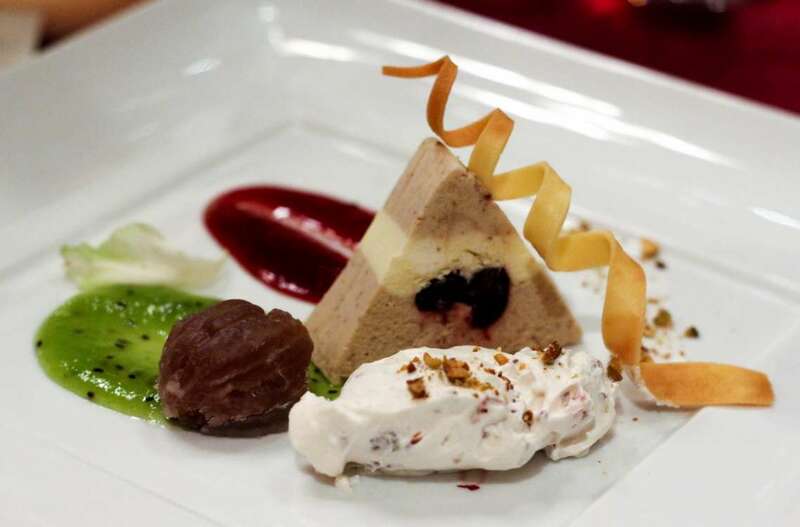 A beautiful variety of sweets; ricotta cheese and chestnut parfait, with dark cherry sauce and candied pistachio nuts paired with 2013 Grϋner Silvaner QbA Trocken, Wittmann, Rheinessen, Germany. The next day was a relaxing one. Banyan tree offers their guest with bicycle to ride in the property which consists of five resorts. I went straight to the beach. 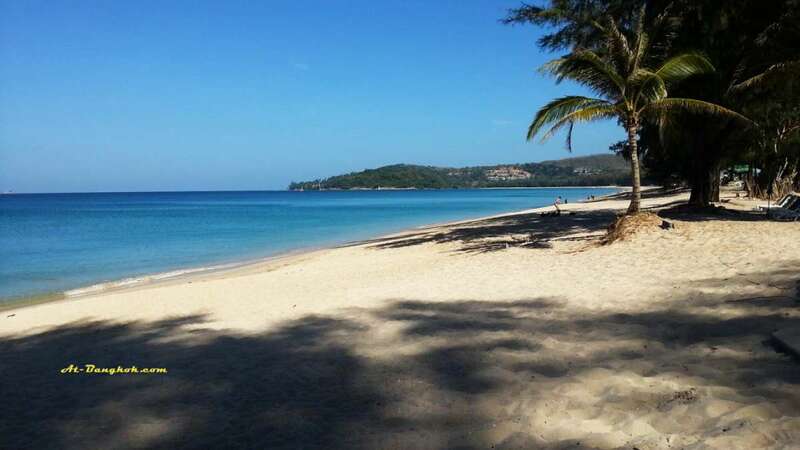 After the beach clean up without the venders, Bangtao Beach was very pristine, it was a sunny day making the ocean color beautiful aqua. Spending time here was a great way to get ready for the wine tasting of 55 boutique wines. You really have to prepare yourself for fins wine tasting because with all the bottles they are offering you don’t want to miss one but if you try all (even if you spit) you’ll definitely get drunk. There were large varieties of wines to taste. Below are some that I like. After the tasting it was time for the wine dinner at Paresa Resort. Paresa is located on the cliffs of Kamala in the area called the millionaire’s mile. It is an all villa resort style; most of the villas have its own private pool. My villa was the Aqua Pool villa; spacious with private pool large bath and views of the ocean. The dinner reception started at the outdoor view point, where you can see the view of the ocean from the top of a cliff in 180 degrees. 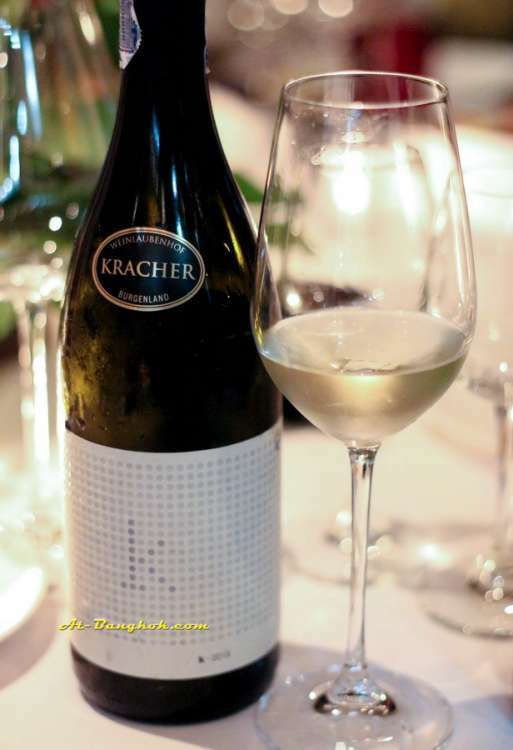 The wine for that night was from the Kracher family of Austria. They are one of the best known sweet wine producers in the world. 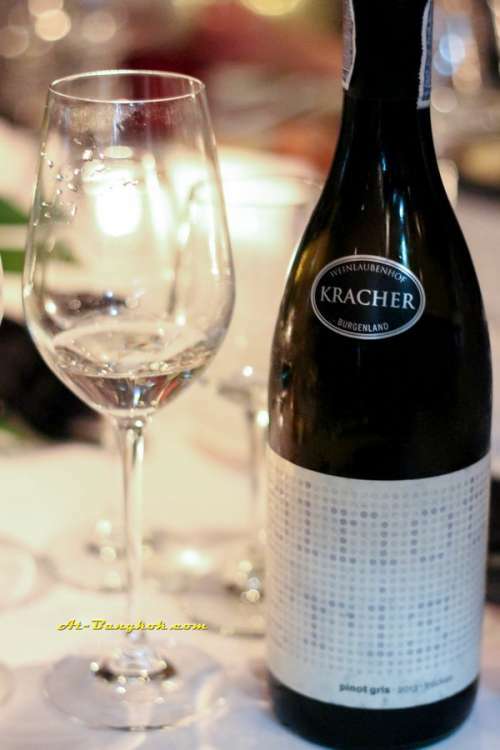 Gerhard Kracher the third generation wine maker was with us for dinner. He provides interesting in-depth experiences of wine making. The first course was Crispy grouper, lemon grass, shallots, mint and chili paste. 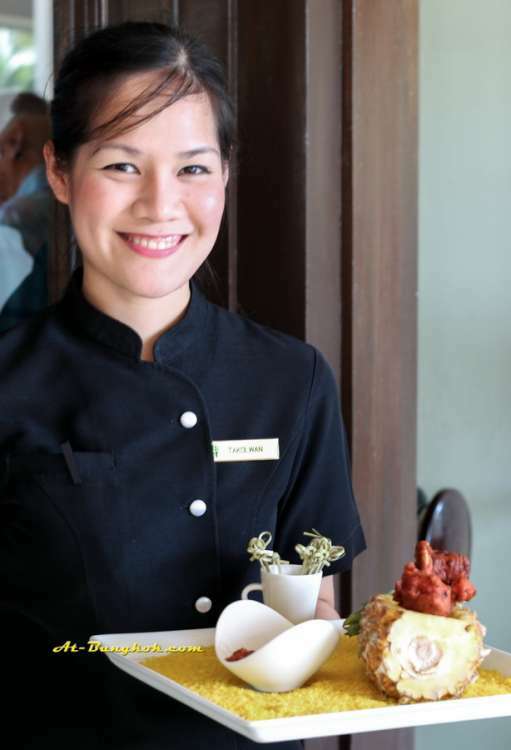 It was a big surprise because the chef was Italian but food was Thai with a refreshing twist. 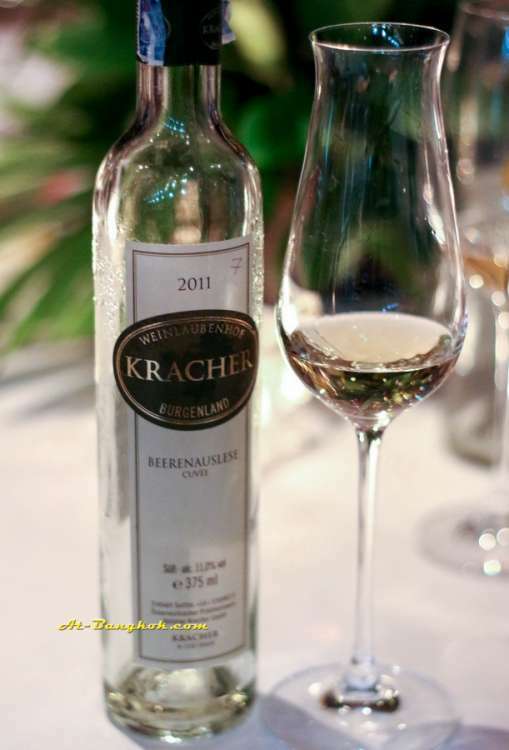 It was paired with 2013 Pinot Gris, Gerhard Kracher, Neusiedlersee, Burgenland, Austria. It opens with pineapple scents, then gives up plump, mouth filling tropical and citrus flavors, finishes in a rush of melon and orange. 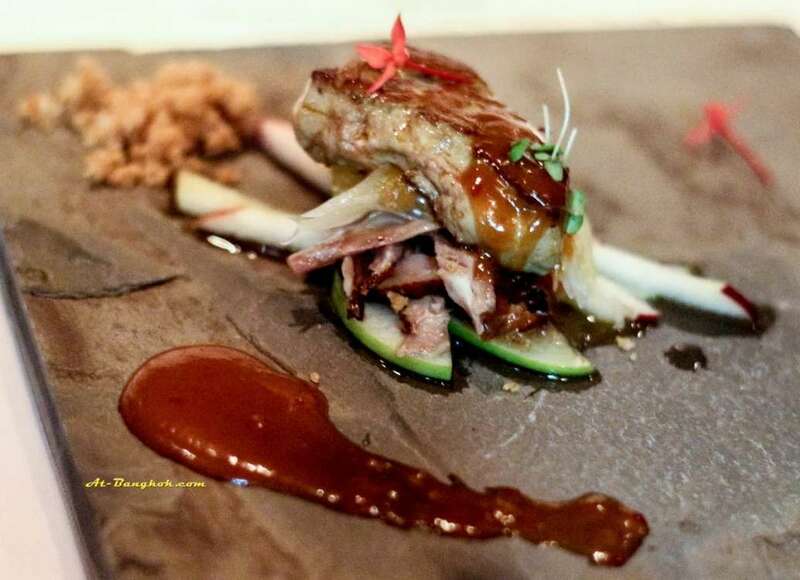 It was followed by a smoked duck, pomelo, crispy pork rinds, green apple and duck foie gras, paired with a slightly sweet wine 2013 K Blend, Gerhard Kracher, Neusiedlersee, Burgenland, Austria. 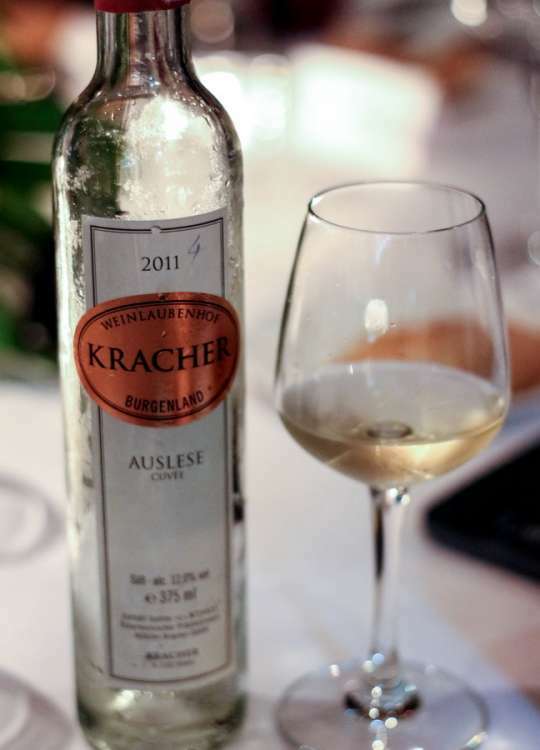 It is a blend of scheurebe, chardonnay and welschriesling. It has attractive aromas of dried apricots, orange and yellow greengage fruit characters on the pallet with pleasant citrus aftertaste. 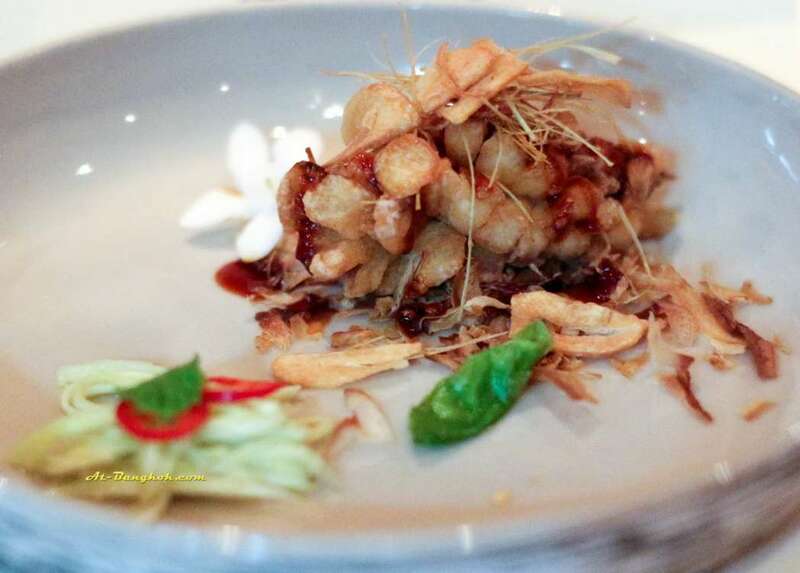 This one is inspired by tom ka (ต้มข่า), instead of chicken the chef use mantis prawns. Hidden underneath the coconut milk soup I wasn’t sure what I had but it was amazing. 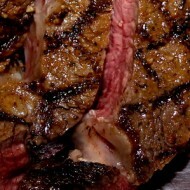 It turns out the mantis was slightly cooked giving it an appealing raw texture. 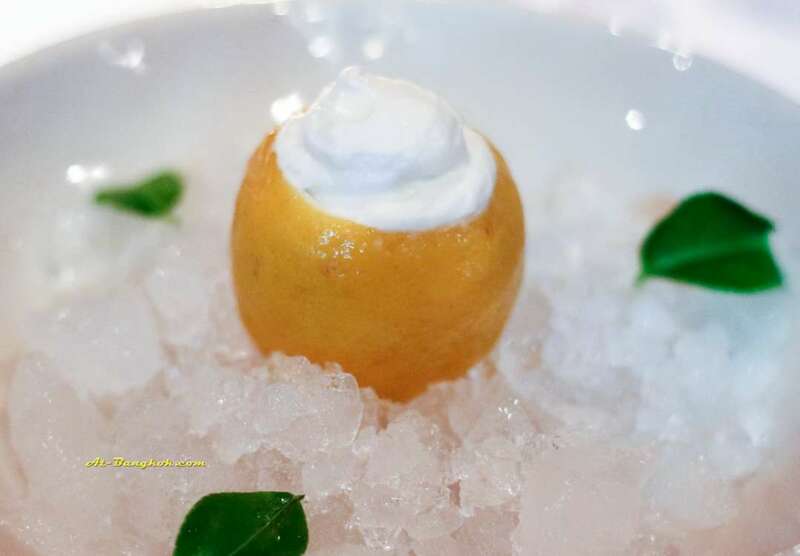 To make it even more pleasing lemon foam and fresh truffle was added. 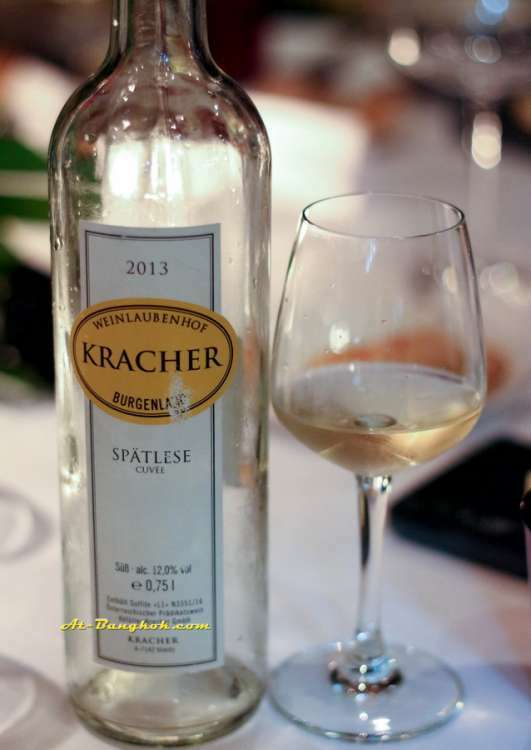 It was only appropriate to pair it with not one but two sweet wines 2013 Spätlese Cuvée, Kracher, Neusiedlersee, Austria and 2011 Auslese Cuvée, Kracher, Neusiedlersee, Austria. 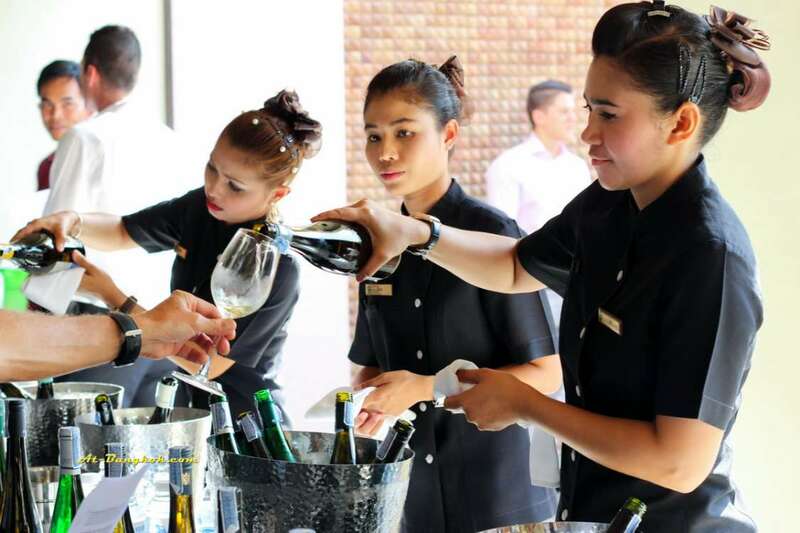 Each wine had different characters, so when having it with tom ka makes each sip more engaging. 2nd Dessert doesn’t have anything to do with the Thai theme but it was just a great end to a wonderful meal. 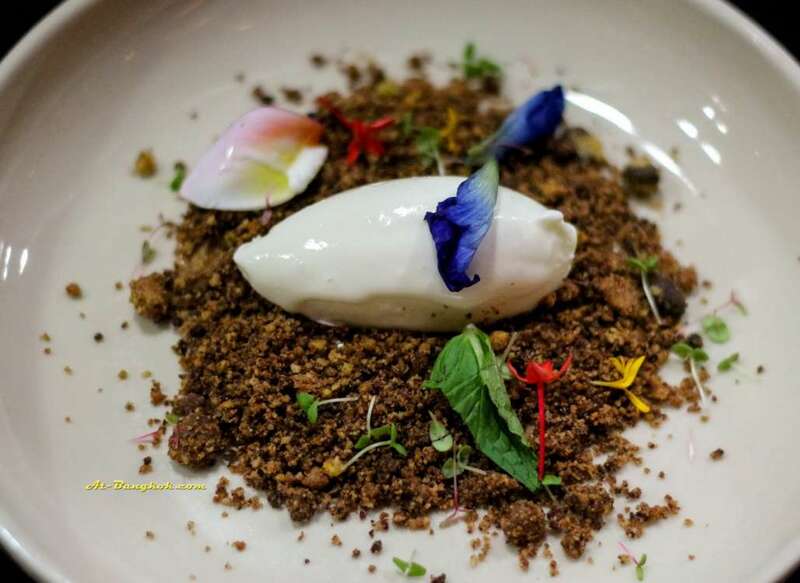 Chocolate Soil; dark chocolate, hazelnut and toffee grinded topped with yogurt & cream gelato. 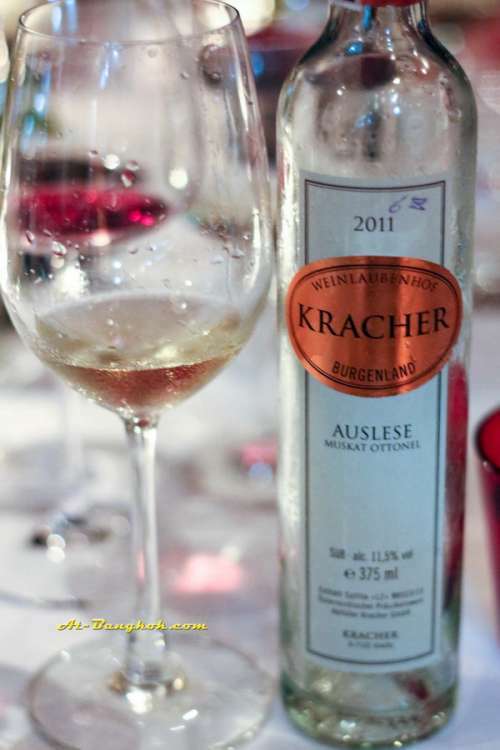 Paired with Kracher mouth watering sweet wines 2011 Beerenauslese Cuvee, Kracher, Neusiedlersee, Austria and 2011 Muskat Ottonel Auslese, Kracher, Neusiedlersee, Austria. 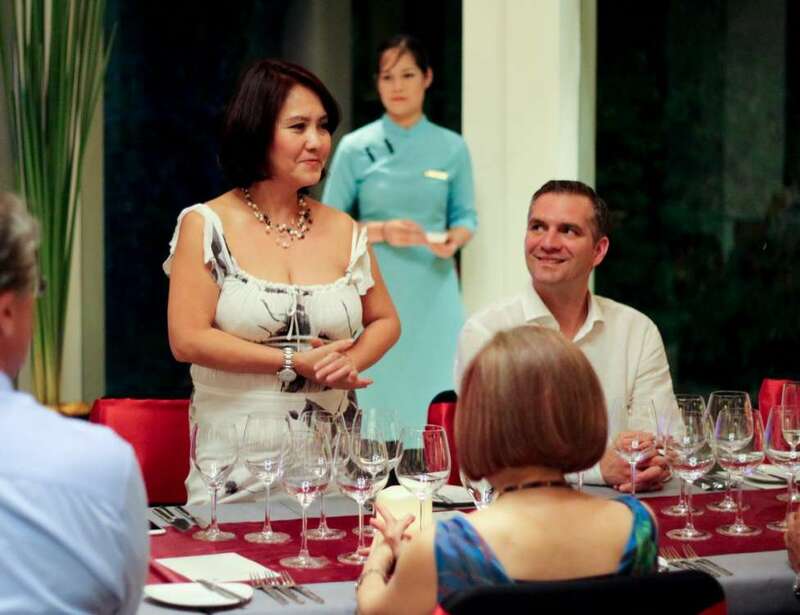 FIN’S Fabulous ‘PHUKET WINE AND DINE EXPERIENCE’, provides wine enthusiast, wine professionals or even just foodies an experience to enjoy wines, food in unique locations that are very exclusive. Fin the organizer of this event thrives themselves to find the most unique wines from around the world. 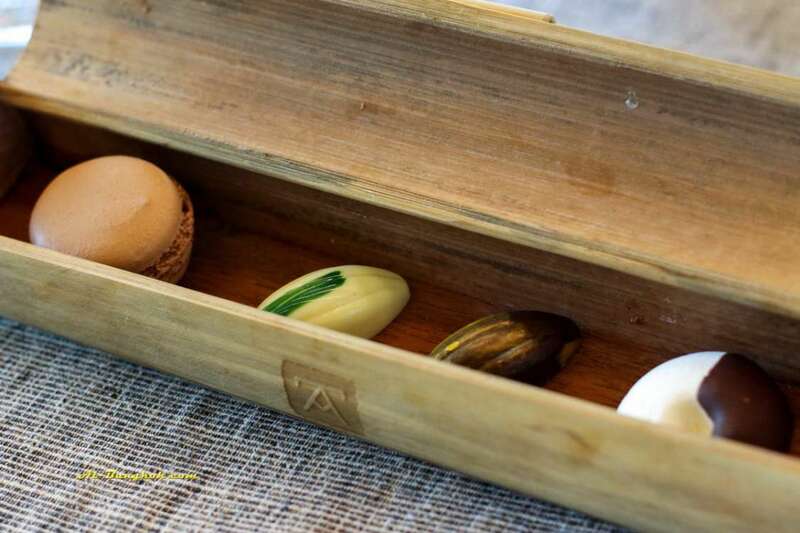 They are also keen to organize valued wine tasting and dinner at leading restaurants with remarkable ambiance throughout the country.